Three main types of fibre reinforcement were developed during the 1990s. 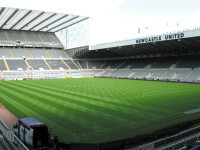 All three techniques have been, and are being, widely used to reinforce or stabilise sand-dominant rootzones in order to provide the surfaces required by present day top tier football and rugby clubs and the major national stadiums. Initially, the development of fibre-reinforced sand dominant rootzone pitches was probably first encouraged and promoted by the STRI personnel. 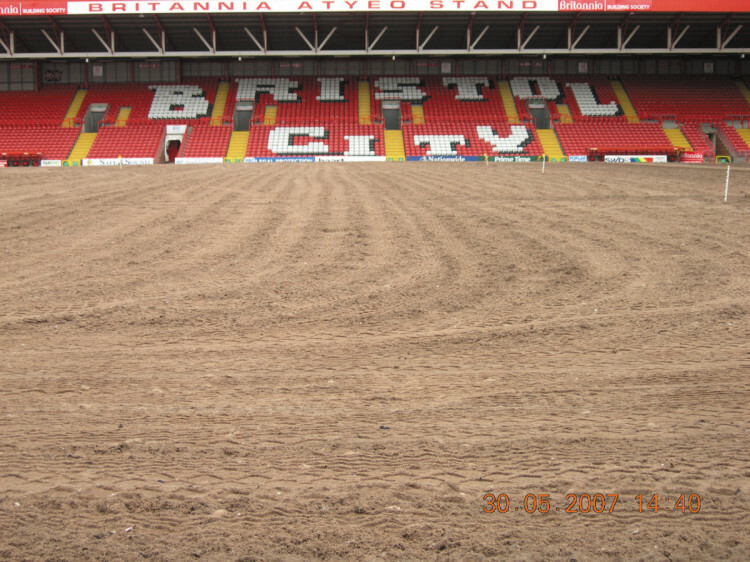 In the late 1980s they recognised the need to improve the stability of sand dominant rootzone pitches once grass cover had diminished, or even been completely lost. At that time sand based pitches were becoming much more frequently constructed due, principally, to their undoubted drainage, 'mud-free' and grass cover advantages when compared to traditional soil pitches. Following an intensive research programme carried out at the STRI headquarters at Bingley, trials for Fibreturf were held at Hull City's old Boothferry Park ground in the centre circle and goalmouths during the 19991/92 season. The following season the first full Fibreturf pitch was installed at Oldham Athletic's Boundary Park ground. 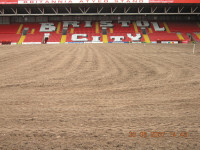 This 'prototype' pitch stayed in for two full First Division (now Premier) seasons and was very successful from a stabilisation viewpoint although it had the drawback of being too hard, partly due to the excessive fibre content and partly due to lack of knowledge of correct maintenance procedures that were required with such a novel rootzone. This, in turn, led to lack of grass cover and other associated problems. The knowledge gained from these 'prototype' pitches enabled significant improvements to be made in the composition of the rootzone and also point the way in which maintenance procedures would have to be improved in order to control and minimise the hardness and loss of grass cover effects. From the mid 90s onwards greatly improved maintenance procedures, particularly based on regular use of various types of aeration equipment, were developed by several Head Groundsmen and Grounds Managers. The situation today has not really changed significantly since the late 90s with a considerable number of Fibreturf, Grassmaster and X-tra Grass pitches being constructed each year both as new stadium or replacement pitches. All such pitches are being maintained along the lines developed in the mid-late 90s in order to maximise the advantage of fibre reinforced, sand dominant rootzones whilst minimising the potential 'hardness' drawback. This, of course, is fundamental to a sand dominant rootzone, particularly so when fibre stabilised, when compared to a traditional soil based rootzone. Fibresand UK, leaders in fibre reinforced sand technology and having been aware of this situation for some time, began a two year research programme at the STRI in 2004 in order to investigate the effects of using 'elastic-type' polyurethane fibrous material in addition to the polypropylene fibres already used for reinforcement. The final results of this programme were tremendously encouraging not only in terms of a reduction in surface hardness (less jarring of limbs and lower risk of injury in falls) and an increase in surface resilience (more energy feedback to players feet and lower ball bounce) but also the bonus of an increase in traction. 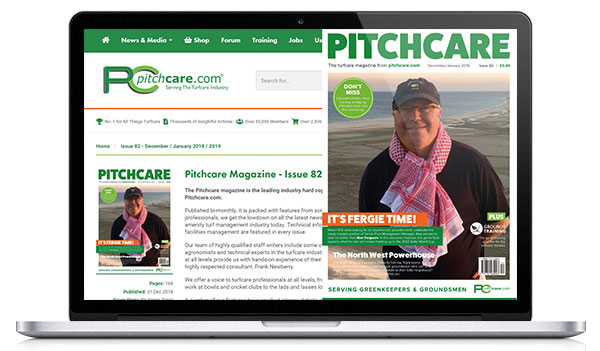 As a direct consequence of the research results a fully patented, modified Fibreturf rootzone has now been launched under the trade mark name of 'Fibrelastic Turf' with the aim of providing a pitch surface that has all of the attributes provided by a typical fibre reinforced sand dominant rootzone but, most important, is more 'player friendly' because of the reduced hardness and extra resilience increase in the surface. 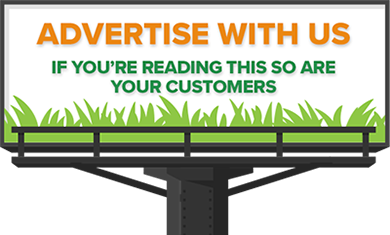 It provides a fibre reinforced sand dominant rootzone pitch that feels more like a good quality soil pitch in optimum early season condition. 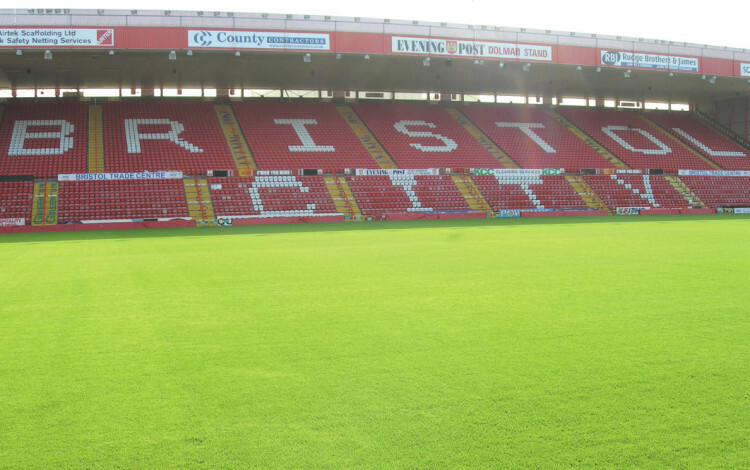 Two top tier football clubs, Bristol City in the Championship League and Newcastle United in the Premier League have chosen to install Fibrelastic Turf' rootzones this season. Initial feedback from the first few matches has been very positive. It will be very interesting to see if this second generation fibre reinforced rootzone material continues to perform as well as a typical fibre reinforced pitch together with the 'player friendly' benefits that are indicated by the STRI research results. The STRI will be monitoring both pitches closely throughout the season with at least four visits per pitch in order to record hardness, traction and grass cover data. 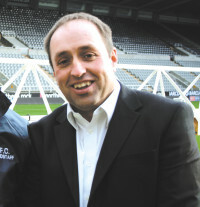 Eddie Rutherford, Newcastle United's Stadium Manager, has always been keen to bring new technologies to St James's Park. 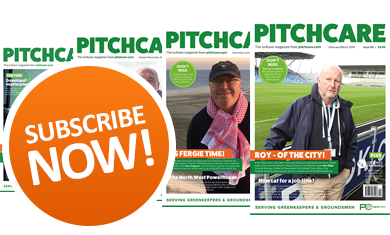 The opportunity to use the Fibrelastic turf product to improve the playing characteristics of the pitch seemed a logical step forward, particularly for reducing any hardness at the start of the season. The Fibrelastic material is pre-mixed into the designated rootzone products. Around 1500 tons of this rootzone material was used in the reconstruction of the playing surface during the end of season renovations carried out in May by contractor, Hellens Sport. The top 100mm of material was koroed off, the pitch was then power harrowed, raked and top dressed with 100mm of the new material, and over sown. The whole job was completed in a week with the seed germinating seven days later. It was then up to Eddie's groundstaff to take over and bring the surface into play with a programme of feeding, watering and mowing regimes throughout the summer period while, at the same time, having to cope with a Rod Stewart concert in June. 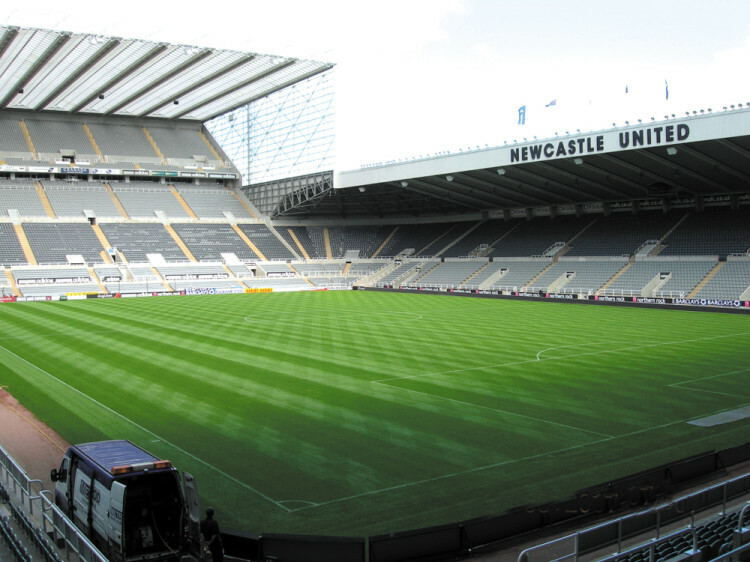 Most stadium pitches tend to be fairly firm for a short period after renovations due to the lack of grass density and, to a degree, due to having no surface thatch present. According to Eddie this often results in comments from players about the pitches being hard at the start of the season. However, this year he has not received one single comment about surface hardness and puts this down to the resilient characteristics of the Fibrelastic now installed in the pitch. Eddie accepts that it is still early days, and only time will tell whether the new product will continue to provide benefits for both players and groundstaff, but the initial signs are promising. We initially considered using the new Fibrelastic in September 2006 after seeing results from the initial trials carried out on the new product by the STRI. I then visited the trial grounds at STRI in West Yorkshire with our Managing Director, Doug Harman, and our Group Chief Executive, Colin Sexstone in February 2007 met Steve Baker, Head of Soils and Sports Surface Science. Needless to say, we were extremely impressed with what we saw. The fact that we would get extra resilience and increased traction from the addition of elastic fibres on top of what you already get from a standard Fibreturf pitch and, more importantly, a softer playing surface was of great interest. We made a collective decision there and then to go ahead and install the new Fibrelastic for the 2007/08 season. Work on the pitch started in May. Pugh Lewis were the main contractors. Premier Pitches were the sportsfield contractors employed to install, grade and seed the pitch. 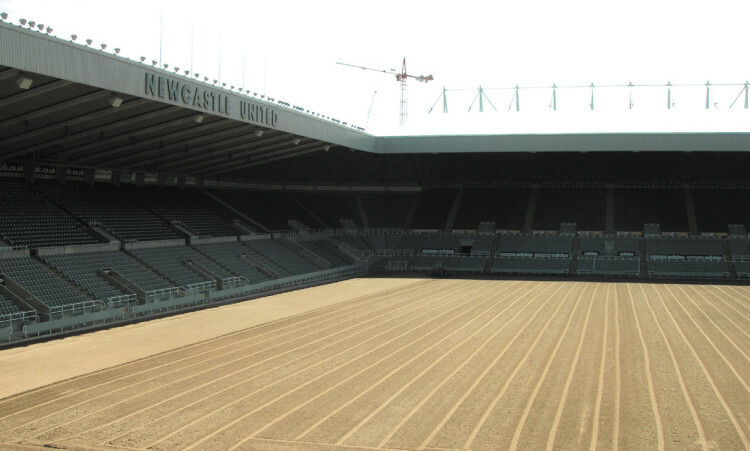 Fortunately they had already installed the rootzone at Newcastle United which gave them some good experience. Once the top 100mm of existing fibeturf rootzone was removed work began on re-draining the pitch by adding new sand slits and also installing a new irrigation system which included pop ups in the pitch. The new Fibrelastic was then installed, expertly levelled and seeded using MM60. We had a concert after six weeks which left some damage in the north third of the pitch, but we managed to bring it back in time for th e first game against Queens Park Rangers which was an entertaining 2-2 draw. Our players thought the pitch was fantastic and so did the opposition. Their manager at the time, John Gregory, came out to see me and Geoff after the game and complimented us on a superb playing surface on behalf of his players. You don't normally get comments like that unless the other team has just won 5-0. We also recently hosted England U21's v Romania. 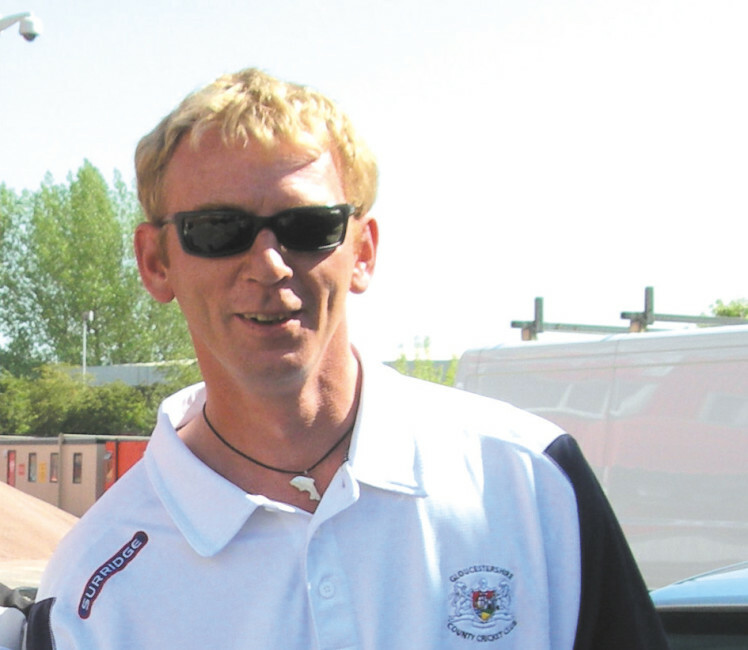 The manager Stuart Pearce and his players were over the moon with the pitch. We have just had our first visit from Steve Baker of the STRI, (first of four visits), which has been organised by Russell Latham at Mansfield Sand, and the results of his tests are very interesting. The hardness results are more like a soil pitch but without the divots. Let's hope that the pitch continues to perform this well throughout the season. I'm sure it will!